Here’s a typical story about a documentary (or an indie, or occasionally even an experimental film): It cruises the festival circuit, likely at Sundance. It builds up buzz. Perhaps it collects some awards. It scores a distributor. Several months — or even a year, now and then even years — later it opens in theaters, riding on hazily recalled accolades and hopefully at least polite reviews. It is or isn’t a success, and there’s a chance it spends eternity lost in the vast bowels of iTunes. 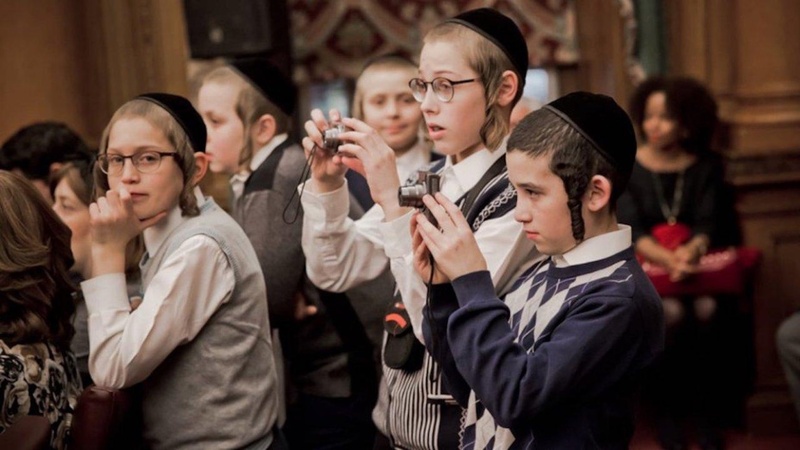 Some people (and a few reviewers) assume this is the tale of 93Queen, Paula Eiselt’s debut feature about fiercely determined women in the Hassidic community of Borough Park in southwest Brooklyn. It’s not. Not even close. The movie never played Sundance. In fact, it only played one festival: Canada’s esteemed Hot Docs. It premiered there in April — less than six months before this writing. By July it was in theaters. By mid-September it was playing on POV on PBS. “Everything was in over-drive, over-speed,” Eiselt said at 2018’s IFP Week, at a “case study” devoted entirely to 93Queen. Eiselt and her producer, Heidi Reinberg, were there to explain the bizarre, twisty and largely accidental way 93Queen turned into a documentary hit, earning strong reviews, playing for extended runs in New York City and Los Angeles, expanding to 25 cities total and eyeing a long post-theatrical life. “I don’t recommend this,” Eiselt said of the film’s journey. “It just happened like that.” And yet within this story lies important lessons on how to navigate the dense thicket of modern independent film production and distribution. This is a rags-to-riches story, so naturally it begins with loneliness and existential despair. It begins around five years ago with Eiselt, an Orthodox filmmaker, having an idea about following certain women in Borough Park who are forming an all-female ambulance corps. Eiselt meets Reinberg at a small gathering for aspiring filmmakers, the two hit it off and decide to pair up for the film. All the while, they were applying and applying and applying for grants, with no luck. One problem (for some, anyway) was that Eiselt was, though not a member of this enclave, very close. Eiselt and Reinberg persisted, though, sticking to their guns, funding the movie themselves until money came in. The big turning point, they said, was IFP Week. They attended two years in a row. In 2014, they were part of the Spotlight on Documentaries. In 2015, they were in the IFP Labs. The first year, though was the first time they felt confident about their film. It was then that they had “great” meetings, and they met members of ITVS, who encouraged them to apply. They eventually got the ITVS grant, and once they did, their many other funders followed suit. They did this not by compromising their vision to get funds but by being crafty with what they had. One funder was the Hartley Film Foundation, which awards money — sometimes a modest amount — to any film centered around faith. These aren’t faith-based films in the vein of Pure Flix (of the God’s Not Dead trilogy); they’re serious films, often documentaries, about any religious strain, from Christian to Jewish to Islam to Hindu. Eiselt and Reinberg advise never turning one’s nose up at even paltry sums. Even a small amount of money sends a meaningful message to everyone else. Financing can be incremental, so even one sends a good seal of approval to others. By the time they started post-production, they had raised between $600,000 and $700,000. Eiselt was finally able to support the production and everyone in it. She was able to pay Reinberg. Ditto editors. She had an office. She was even able to pay yourself. “No one in this room ever put a budget out without a salary for yourself,” Reinberg doubled down. It was still rocky at times. Over the years, Reinberg sometimes had to step aside to make a living, occasionally working on other films. The timing was sometimes bad; she recalled having to go on the road with another project while 93Queen was dealing with distribution. Eiselt and Reinberg are actually glad 93Queen didn’t get into Sundance and not only because it all worked out in the end. 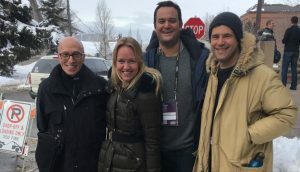 For them, it gave them three more months to tighten their edit, and allow it to premiere, in a better shape, at Hot Docs in April of this year. But at the time the Sundance rejection smarted. In 2017, Eiselt and Reinberg took 93Queens, still in the works, to the competitive Hot Docs Forum, where projects from all over the world have to pitch themselves to a gallery of insiders. They won. They were riding high. “We thought we were getting into Sundance,” Eiselt recalled. “We had direct lines to the programmers. We had screened parts of the film to them before. We were set. That’s what happens.” They expected they would do festivals in January, February and March. They even signed up with POV, to air the film as part of their Made in NY ad campaign, which touts certain NYC-made films on the subways and newspapers to sell the city as friendly towards film productions. The film was scheduled to air on PBS in mid-September. And yet, as 2018 lurched on, they had no festivals. “We were not being successful,” Eiselt remembered. Hot Docs was their premiere, but it was already April. What happened next happened very quickly. Eiselt and Reinberg decided they needed a theatrical run very soon, if not immediately. They could have four-walled it, paying around $25,000 to put it in theaters in NYC and/or L.A. for awards-qualifying one-week runs. They decided to do one better. Abramorama is an indie distributor specializing in service deals with many acclaimed titles, including The Look of Silence, Laurie Anderson’s Heart of a Dog, Brett Morgen’s Jane and this summer’s theatrical reissue of the Beatles movie Yellow Submarine. In their service deals, Abramorama charges a flat fee and handles all the mechanics of distribution, including press, social media, websites, bookings and collections. They also don’t take a large percentage of the theatrical grosses, which can work out well for filmmakers if their films do well and expand across the nation. Eislet and Reinberg met with Abramorama in June. By July 25, their film was opening at the IFC Center in NYC. It kept expanding. Strong reviews helped, as did the fact that the buzz from the film’s Hot Docs premiere, only three months prior, was recent enough to have not significantly faded. Eiselt says it was a “huge risk” to go with Abramorama, and even with its success she’s in huge debt. Reinberg says they’re in the process of recouping that money, even after the successful theatrical run. That means they have to think outside the box to find creative new revenue streams for the film’s post-theatrical life. One angle Eiselt and Reinberg have explored is special showings, especially education and community screenings. 93Queens has already shown it to different enclaves, including in Brooklyn, or anyone else interested in the subject. Eiselt already plans to travel around the country a lot in the foreseeable future, charging institutions for her to attend in person. That 93Queen just aired on POV doesn’t necessarily cut into its profits; it was a one-time screening, and it’s only available to stream on their site for two weeks. That also doesn’t preclude it from negotiating streaming sales later, both domestic and international. They already made a deal with Arte, the French TV station, that nets them more profits. They also note this: DVD and home video is not dead yet, as advertised. Many people, Eiselt and Reinberg have learned, still buy physical copies of movies, as do libraries. The whirling dervish manner in which 93Queen has proved a documentary Cinderella story isn’t necessarily repeatable. And yet, throughout, Eiselt and Reinberg learned much about an unpredictable and often nonsensical industry, one that often times barely seems to hold together and one that is constantly in a state of flux. Their lessons are ones filmmakers sometimes have to learn on their own, though their story helps one learn what to expect, even if it’s simply the unexpected.